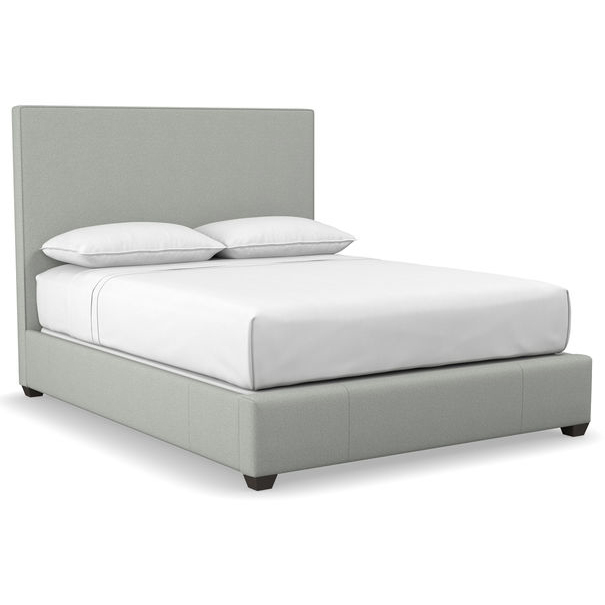 Rest easy with Paul, our great looking, simple, no frills upholstered bed. Comfortable Parson’s style headboard with welted trim makes for a nice space to lean up against. Shown and priced as a Queen bed in fabric Cason – Silver. Available upholstered in fabric and leather. Available as a floating rail bed in king or queen or as a queen platform storage bed.